From New York City, ladies and gentlemen, the Afro-Filipino King of Latin Soul—Joe Bataan! It’s 2012 at Yoshi’s Jazz Club in Oakland, California, and the name Joe Bataan still resonates with the OG’s–the “original gangsters” from the old neighborhood–as well as with younger Salsa enthusiasts who came to dance. Born Bataan Nitollano in 1942 to a Filipino father and an African American mother, Joe grew up in Spanish Harlem, the “East Side” of Harlem in New York City. A singer, songwriter and record producer with several hit songs and records to his name, Joe Bataan was one of the original artists of Fania Records. Internationally recognized, the legendary artist brought peoples and cultures together through music. “My father was Filipino, my mother was African American, and my culture was Puerto Rican,” Joe has said. It was 1976 when “JB” first came out with “Ordinary Guy (Afro-Filipino)” on Salsoul Records and proclaimed to the world his true ethnic identity. It was quite a surprise when I heard that Joe Bataan was part Filipino. How could he not be Puerto Rican I thought—thinking back to the songs Joe sang back in the day: “If I Were a King,” “Para Puerto Rico Voy,” “Es Tu Cosa,” and “I Wish You Love parts 1 & 2.” Everyone I knew in the neighborhood loved these songs and thought of Joe as one of our heroes. We were all proud owners of the LP “St. Latin’s Day Massacre” with the cool album cover. Later on I, of course, got the album “Afro Filipino” with Joe on the cover, wearing a “natural” or “Afro” hairstyle that was popular at the time. To this day I continue to enjoy his music, which holds a lot of pleasant memories. Ever the trailblazer, he is also credited with the first rap record to hit the European market in 1979 with “Rap-O-Clap-O.” While it didn't chart domestically, it was a big hit throughout Europe. Soon after this noteworthy accomplishment, Joe disappeared from the public eye for almost 20 years. He returned to what he knew—his neighborhood. He went back to being a counselor for troubled youth, sharing his experiences and insight. While raising his family, he lived, worked and served in his community. In 1995 Joe Bataan returned to the stage and has not stopped since. He resumed his music career and started to tour and record again. His early recordings were still popular with his original audience, and now Joe Bataan’s appeal has crossed over to the Asian, European, Mexican American and South American audiences with hits like “Chicana Lady” and “Mestizo.” In 2005 he released “Call My Name,” a CD on the Spanish label Vampisoul Records with several new compositions featuring his trademark sound and vocals. In June 2011 the San Francisco Filipino American Jazz Festival featured Joe Bataan, hoping that his 1970s hit “Ordinary Guy (Afro-Filipino)” would resonate with the diverse Bay Area audience. It was a huge success, with two sold-out shows at Yoshi’s San Francisco in the Fillmore District, a neighborhood once home to many Filipinos. It was a giant multicultural celebration, a homecoming for a Black Pinoy from East Harlem making a connection with his Filipino roots. For added support, his long-time fans from the New York/Puerto-Rican and the East LA/ South Bay Mexican American communities were also “in the house.” With an all-star band, Joe gave a stellar performance to a standing-room-only audience. That unforgettable performance led to a trip to the Philippines, where Joe performed at the 2012 Malasimbo Music Festival in Puerto Galera, Mindoro. This was the first time he visited his father’s homeland. Like many of the early Filipino immigrants to the United States, his father was never able to return home. Joe fulfilled his own father’s dream with this momentous journey. 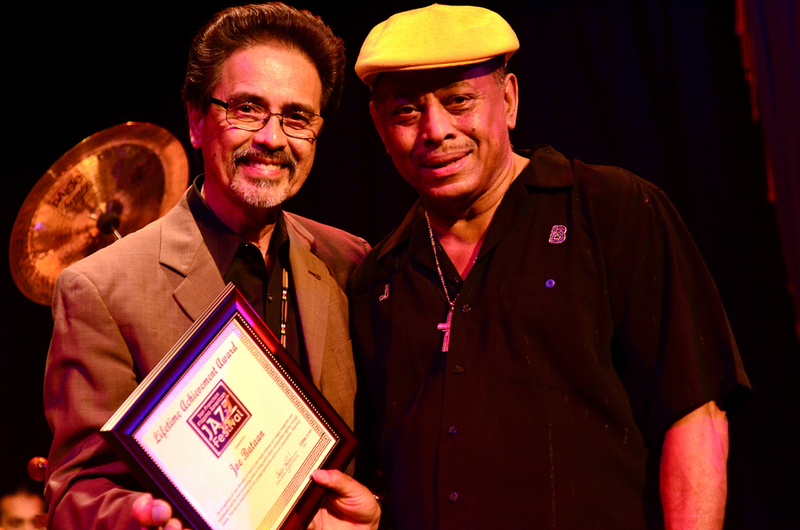 After performing in Australia at the Sydney International Salsa Festival in October 2012, Joe returned to the SF Bay Area to be one of the featured artists of the 5th Annual San Francisco Filipino American Jazz Festival at Yoshi’s Oakland. I was honored to present him a Lifetime Achievement Award from the Festival in recognition of his achievements in music and his work in the community. A week later, Joe performed and was recognized by the Asian Pacific American Center at the Smithsonian Institute in Washington, D.C. 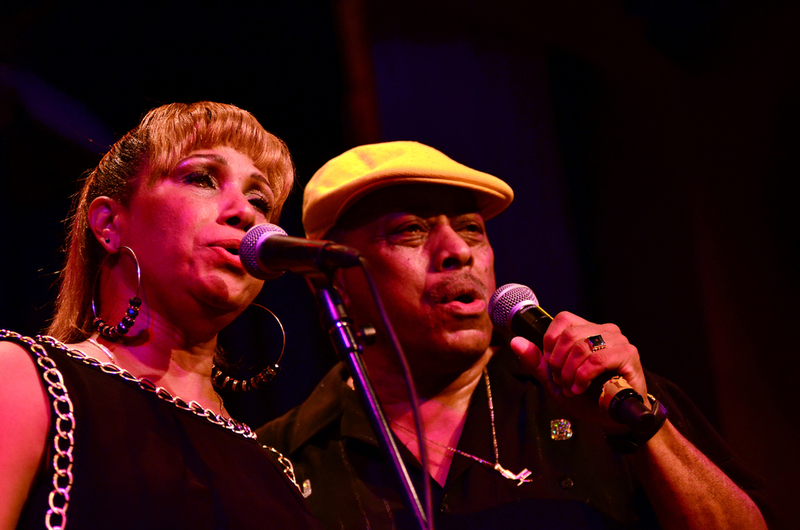 It was a tribute to “Joe Bataan: The Afro-Filipino King of Latin Soul.” The event highlighted his career and contribution to the socio-cultural activism of the Asian, Latino and African American communities in the sixties and seventies. The project was collaboration that included the Smithsonian Latino Center, the Center for Folklife and Cultural Heritage, the Smithsonian Immigration/Migration Initiative, the Smithsonian Consortium for Understanding the American Experience, and the National Museum of African American Heritage and Culture. It has been a long journey for this “ordinary guy” who got into trouble as a teenager and, while in prison, learned to play the piano and sing. He found his voice not only in his music and on the stage, but also as a youth counselor, sharing his unique life experiences in order to help others. While he was in the Bay Area, he took time out from a busy schedule to visit a community center for “at-risk” youth in San Francisco’s South of Market Filipino neighborhood. Joe reached out to the kids, played the piano, and sang from his heart to theirs. He has touched a lot of lives not only with his music. He has also touched the lives of young people who needed someone who cared. Joe is an ordinary guy with an extraordinary heart. Mabuhay ka Joe Bataan! Carlos Zialcita was born in Manila and grew up in San Francisco after migrating to the United States in 1958. He is the founder and executive director of the San Francisco Filipino American Jazz Festival.